Home » Blog » Puppy Socialisation Classes – a good idea? 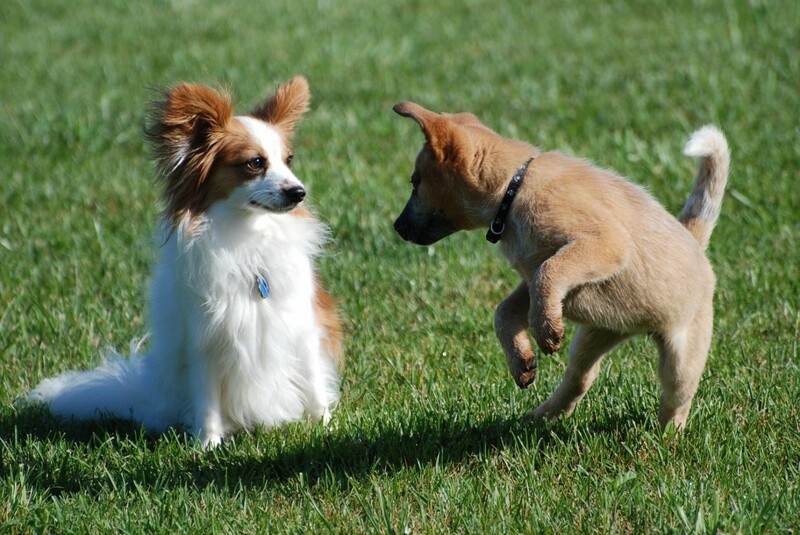 Are puppy socialisation classes any good, or are they making dogs aggressive? Socialise, socialise, socialise! Every book, every DVD, every TV show emphasises the importance of socialisation. The problem is none of them seem to tell you exactly how this is to be achieved. As a result, many owners know that they should socialise their puppy, but have no idea how they’re supposed to do it. They are told about the importance of socialising their dog with other dogs, with people, with traffic, and with a whole host of other stimuli. But I believe that without the owner being taught how to do this correctly and efficiently, the dog is much more likely to develop training and behavioural problems. And ironically, these problems may be directly attributable to the class that they took the dog to, and to the trainer who with the best of intentions may have created exactly the problem for the dog and owner that they were trying to prevent. 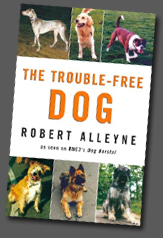 Why is it that at a time when there has never been more emphasis placed on the importance of socialisation that dogs are becoming increasingly aggressive, seemingly to almost everything? I believe that this is down to several factors, and one of these is puppy parties/puppy socialisation classes. In many of the classes that I visit, instructors who are new to instructing are given the puppies to train since it is seen puppies are easier to teach than adult dogs, and this may be true in some ways. However, if you make a mistake with a puppy, there’s a much greater likelihood that you are setting that puppy and owner up for major problems later on. Let me give you an example. I was asked to have a look at the puppy party run by a vet. The day I went was the last week of a five-week course. Several puppies within the group have stuck in my mind. There were two Staffordshire Bull Terrier puppies who were playing so aggressively with each other that had they been adult dogs, this would have been called a serious dogfight. They had to be repeatedly separated. The vet would then take the one that she’d removed and pin it on its back, until it ‘submitted’. This usually took several minutes. The second the puppy was then placed back on the floor, it shot through the other puppies like a missile and re-commenced its attack on the other Bull Terrier puppy. This went on for the entire class, which ran for over an hour. For the entire class, all the puppies did was ‘play’ while the vet talked to the owners. Another puppy that comes to mind was a Miniature Schnauzer. She was just 12 weeks old. She was clearly very frightened of the other puppies and spent the majority of the class hiding underneath the owner’s chair. If another puppy came within 10 feet of that chair she would fly out snarling and growling. The vet then commented on how well she had progressed, since five weeks ago she was too scared to come out from under the chair! I was stunned that the vet actually saw this is progress and you can only imagine how aggressive this puppy will be by the time she’s a year or two old. There was also a Shar Pei puppy in the group. This poor dog had had his face pulled and bitten so many times by the other puppies that he actually needed medical attention by the end of the class. Every time he got bitten, I saw the owner wince, she was clearly desperate to pick him up and protect him, but she was repeatedly told by the vet that this was good socialisation and she should not interfere. But what can we suppose the puppy was really learning and how surprised would we be if, by the time he is adult he is aggressive towards other dogs? But how many of the owners of these puppies will ever trace their adult dogs aggression back to the lessons learnt as a puppy in the puppy training class? There is always a big emphasis placed in such classes on the importance of play. Most of this emphasis however, is placed on the puppies playing with other puppies. Since young puppies won’t have developed a very strong code of appropriate play, it usually involves lots of inappropriate play fighting. We call it play fighting because we recognise this behaviour for what it is – practising fighting. Why do we suppose that if we allow our puppy to practice lots and lots of this that we are somehow LESS likely to end up with an aggressive dog. Now this is not to say that all dogs that play fight will be aggressive, but many of the dogs that I see who are fearful or fear aggressive towards other dogs, will have owners who will explain that the dog was attacked or bullied as a puppy, usually under the age of six-eight months by another much bigger or much more boisterous dog and it was at that point that the puppy became aware that it was vulnerable. Many of those owners will then describe how they noticed a change in their puppies play behaviour after this incident. They describe how he became much rougher and more physical in the games that he played with his ‘friends’. He played much more pinning and fighting games than he had done previously. He tended to run at his friends much more, rather than with them, often knocking them to the ground and then pinning them there. But most owners will simply assume that the dog is ‘socialising’ and so see this as a good thing. Sometimes because of the incident, the owner will try and find lots of dogs that the puppy can play with in an attempt to prevent the attack from affecting him long-term, but by doing so, in my opinion, they may actually be ensuring that the puppy learns how to be a much better fighter. Another exercise I believe can cause real problems from puppy later on in life is ‘Pass The Puppy.’ In this exercise, the puppy is passed around from one owner to another in an attempt to familiarise the dog with being handled by strangers – and this may be fine for some of them, and cause them no problems at all. However, do this with a puppy that is nervous of people and you can make that puppy much, much worse. The analogy I use in this situation is if you imagine that you were on a train, and there is a man sitting nearby that you don’t like the look of. But you can cope because at least the man is keeping his distance. But imagine if the man suddenly got up, came over and sat next you. Wouldn’t this increase your stress level considerably? Then let’s suppose the man leaned over and started to stroke your hair. While you might be perfectly happy to have your partner run his fingers through your hair, this man carrying out the same behaviour will create a very different response and you. But imagine then, how you would feel if several of his friends came into the carriage and they too, began to run their fingers through your hair. How long would it be before you leapt up and ran out of that carriage as fast as your legs would carry you? And would you ever sit in a carriage alone with a strange man again? I believe that the same fear that you would feel in that situation can happen to puppies in puppy parties and puppy socialisation classes being stroked by loads of strangers. And I believe it can have the same long-term implications. So many of my clients complain to me that they don’t understand why the dog is so badly behaved when he was so well socialised as a puppy. For most of those dogs, I believe they weren’t well socialised at all. In fact, thanks to some ‘ expert’, they were very badly socialised. In my opinion, a good puppy training class or puppy party – if there is such a thing, places the greatest emphasis on the puppy interacting with the owner, rather than with anything else, because it is the owner who should be responsible for the puppy’s education. Much greater emphasis should be placed on the puppy interacting with the owner when there are other dogs around rather than interacting with the other dogs. The way I look at is this – if I meet someone on the street that I know, I’ll stop and say hello. I’ll ask them how they are, how are the family, and generally exchange pleasantries. This, I would consider to be social. What I wouldn’t do, is leap on top of them, wrestle them to the ground and shake them manically. If I had greeted them this way, I’m pretty sure they wouldn’t have considered us to be ‘socialising’. And I apply the same theory to my dogs. From the very first time I take them out, I encourage them to be social. This means that if they meet another dog they should have a sniff, check each other’s bums, check each other’s baby-making bits, and then say their goodbyes and come back to me to have some fun. I always want my puppies and dogs to consider me to be the most important, fun, interesting thing in their lives. That’s my job as their owner. I NEVER encourage any of my dogs to play fight with any other dog. I can think of NO way that it benefits my dog to learn how to best another dog in a battle of strength. And I believe it is as a result of this that none of my dogs has ever been aggressive towards other dogs. Since the majority of the dogs that the puppy will meet when out on a walk won’t be puppies, but adult dogs, and since the class at best only teaches puppies how to behave around other puppies, I see no benefit in running a class just for puppies. Instead, all classes should have dogs of different ages, breeds, sizes and sexes, since that is what they will meet when out everyday. And as for those puppy parties – who needs ‘em?